CEIA, a premier provider of high-performance Security Metal Detectors, today announced the availability of the new CEIA PD240CB Hand-Held Metal Detector (HHMD) that features a superior detection range for weapons and minimum metal targets. The PD240CB combines advanced detection and operational capabilities with exceptional immunity to environmental interferences for use in difficult industry detection applications such as corrections and loss prevention. This detector is easy to use and with its specially designed detection head, along with the exclusive dual-tone alarm and dual-color display, can precisely pinpoint metal objects. Detection can occur at longer and deeper distances than standard hand-held metal detectors, allowing for non-contact or standoff inspection operation. The versatility of the design enables indoor or outdoor screening operations. As the new addition to the CEIA HHMD product portfolio, the PD240CB exceeds the latest security standards and features embedded long-life rechargeable batteries that virtually eliminate the operating cost of alkaline batteries. The new 75 kW Generator, Model PW3-75-SA/80 , enrich and extend the SA Series Family that is therefore now available in 4 different power sizes, 25, 50, 75 and 100 kW, with an operating frequency range 20÷100 kHz. The new PW3-75-SA/80 features remarkable efficiency (over 96%) and maximum operating flexibility, as well as the other Generators of the SA Series Family. The Universal Exposition EXPO 2015 was held in Milan (Italy) on May 1 - October 31, 2015. For the Security of this event, CEIA supplied 410 Walk-Through Metal Detectors and 410 Hand-Held Metal Detectors. More than 22 million visitors were screened quickly and with the maximum security, reducing the queue area time. Click here for a brief video on this very important event. EXPO 2015 Security organization will remain a reference model in subject of crowd management. For over 45 years, CEIA has provided high quality threat detection solutions for security and ground search applications such as walk-through and hand-held metal detectors, loss prevention systems, cargo screening devices, bottled liquid scanners, shoe analyzers and ground search metal detectors for military and humanitarian use. CEIA metal detectors are deployed at airports, distribution centers, federal buildings, sports facilities and military bases throughout the world. CEIA is ISO 9001 Certified. 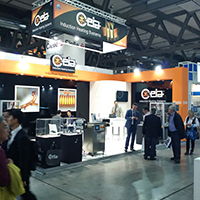 CEIA has successfully attended, from 5 to 10 October, EMO Milan 2015, the world tradeshow dedicated to the metal working industries. For six days the fairgrounds have changed into the biggest factory ever set up within an exhibition area, showing the best international products of the sector. CEIA has presented the complete range of its Medium and High Frequency Induction Heating Systems, with powers from 2,8 to 100 kW. The new Master Controller V3+, complete with advance interface functions, integrated Web Server, Thermal Profile Control, Data Logger and Fieldbus Interface, has been presented as well. allows an extremely reliable, repeatable and accurate process control that has been highly appreciated by the many international visitors attending the exhibition. We would like to take this opportunity to thank all clients and visitors who have stopped by our stand honouring us with their presence, sharing views and opinions on the market of the mechanical industry and in particular of induction heating applications. We are grateful for your interest in our products. Thanks for your cooperation and see you at the next exhibition. CEIA‐Limited is pleased to announce the recently awarded BSI 9001 Quality Management System accreditation which was issued during August 2015. We consider this management system to be a very important tool in the running of a company that insists in achieving and maintaining the highest standards in customer care and commitment, CEIA‐Limited who began trading from its UK office in August 2013 are very pleased with our year on year growth and 2015 was the perfect time to put the company through the accreditation process. May we take this opportunity to thank all our customers and we look forward to giving further support in the future. Assuring you of our best attention at all times. 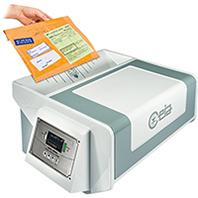 CEIA, a premier provider of security screening equipment, today announced the availability of the new IED detector for letter and parcel inspection, the CEIA EMIS-MAIL. The EMIS-MAIL is designed to detect a wide variety of metal threat items including detonators, batteries, trigger circuits and other metal components of parcel bombs without false alarms for non-threat items such as metal staples, paper clips and metal binding spirals. The EMIS-MAIL is very easy to use and provides a fast and automatic alarm/no alarm signal confirmation per each inspected package. Its compact, ergonomic design along with the electric and built-in NiMH rechargeable battery power supply allows for independent operation in a variety of locations. 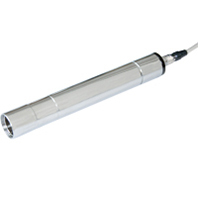 An optional embedded radioactive detector is also available for radioactive material threat detection. The EMIS-MAIL is uniquely qualified to operate in a prison or correctional facility environment with specific settings available for prison parcel inspection. Along with meeting the strictest safety and security standards, EMIS-MAIL is also compliant with the NIJ-0602.02 Department of Justice Detection requirement standard. The CEIA EMIS-MAIL is available now. Pricing is available upon request. 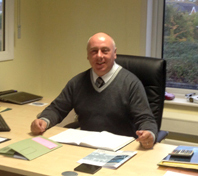 “I would like to take this opportunity to introduce myself and may I say that as the UK main distributor we are looking forward to working very closely with new and existing CEIA customers and may I reassure you all of our total support and assistance, our aim is to continue to promote new and upcoming products in England and Ireland. We shall be displaying a wide range of the latest CEIA security screening and ground search products within our offices and should any CEIA dealers wish to visit with their clients for demonstrations and product discussions we would welcome the opportunity. My role as CEIA UK Managing Director is to ensure the continual strengthening of the brand, the developing of the distribution network and the quality of service and technical support given within security detection and underground search applications in England and Ireland. CEIA is a leading manufacturer of Security and Ground Search Metal Detectors with more than 40 years of experience. CEIA Metal Detectors for airport security comply with the requirements specified by the competent authorities providing automatic detection of metal targets/threats over the entire body, even in cavities, and the maximum flow-rate thanks to unsurpassed discrimination of personal metal belongings. In order to increase the security and the throughput of an Airport Security Checkpoint, additional equipment provided by CEIA are the PD140/PD240 series Hand-Held Metal Detectors, the SAMD Shoe Analyzer and the EMA type A and type B Liquid Explosive Detection Systems (LEDs). CEIA EMA-3 Liquid Explosive Detection System (LEDS) successfully passed the evaluation carried out according to the ECAC Common Evaluation Process of security equipment and conforms to the requirements of Standard 3 for Type B equipment used to inspect Liquids, Aerosols and Gels (LAGs). More than 1000 EMA analyzers have so far been supplied and successfully installed in airport applications. The EMA is a device designed for the inspection of bottles and their contents with the aim of detecting the possible presence of threat materials. The procedure of use is extremely simple and automatic: in a few seconds, the analyzer provides a positive response (OK) or an alarm signal, without the need for any action on the part of the operator. The detection cavity allows a wide range of containers with different shapes and capacities to be introduced. Plastic, glass, ceramic and metal containers can all be screened. The electromagnetic field generated in the detection cavity, of weak intensity and non-ionizing, is safe for the liquids and for the analyzer operator. Calibration of the device is automatic. CEIA is a leading manufacturer of Security Metal Detectors with more than 40 years of experience. CEIA Metal Detectors for airport security comply with the requirements specified by the competent authorities providing automatic detection of metal targets/threats over the entire body, even in cavities, and the maximum flow-rate thanks to unsurpassed discrimination of personal metal belongings. In order to increase the security and the throughput of an Airport Security Checkpoint, additional equipment provided by CEIA are the SAMD Shoe Analyzer and the EMA Bottled Liquid Scanner. CEIA, a leading provider of security screening equipment, has expanded its installation base of the EMA-3 Liquid Analyser to Australia Airports. Thirteen of these liquid analyzer units have been installed at seven of the major airports including Melbourne, Sydney, Brisbane, Gold Coast, Perth, Darwin and Adelaide to inspect bottles and their contents in order to reveal the presence of explosive liquids. The screening procedure is extremely simple, thanks to the automatic recognition of the bottle in the inspection cavity. In just a few seconds, the analyzer provides a positive response (OK) or an alarm message without the need for any interpretation on the part of the operator. The device analyses the entire volume of the bottle and can screen liquids in plastic, glass and ceramic bottles. The electromagnetic field generated within the inspection cavity is of weak intensity and non-ionizing, and is safe both for the liquids and for the operator. Calibration is automatic. The EMA-3 is certified according to the EU Standard 2 for Bottled Liquid Scanners (BLS) in use for airports. CEIA is a market leader in the manufacture of Metal Detectors and other security control devices, with more than 40 years of experience. 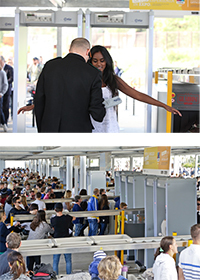 The walk-through Metal Detectors for airport security comply with the most stringent requirements specified by the competent Authorities and provide automatic identification of metal threats over the whole body of the passenger, including the body cavities, together with the maximum possible transit flow-rate thanks to their outstanding discrimination of metal personal effects. CEIA is pleased to announce the addition of the new POWER CUBE 100SA/80 100 kW generator to the successful CEIA Power Cube generator family. The state-of-the-art POWER CUBE 100SA/80 100 kW works with high power output up to 100 kW at frequencies of 20 to 80 kHz and features remarkable efficiency (over 96%) and maximum operating flexibility. This new generator extends the CEIA Power Cube family’s range of available power from 2 to 100 kW with frequencies of 20 kHz to 2 MHZ. For over 30 years, CEIA has been manufacturing High and Medium frequency Inductive Generators with high energy efficiency and minimum operating costs. This extensive experience along with continuous and scrupulous technological research ensures CEIA products offer the highest quality and safety standards. The new PW3-100SA/80 generator includes the exclusive Autolearn function that allows for automatic configuration of the internal parameters, thereby reducing the set up time and consequently reducing the operating costs. Thanks to its specific microprocessor control software, the generator can self-adjust in real time to variations of the working load, automatically modifying the internal coupling circuit and maximizing the transferred power. This self-adjustment feature ensures more efficient operation. The generator is also easy to use thanks to the new touch screen graphical user interface that allows the operator to program the working settings quickly and easily. An integrated Web-Server and Data Logger system allow data storage for up to three consecutive months for proper process quality control. 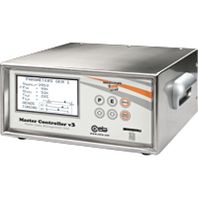 The data logger monitors the heating temperatures, output power, frequency, tension and current on the inductor. Through an Ethernet TCP/IP connection it is possible to access the Generator in order to remotely monitor and control the programming settings and interface with SCADA / DCS systems. Thanks to the use of the Thermal Profile Monitoring software, coupled with the use of the new CEIA SH15/SLE Optical Pyrometers, it is now possible to certify the quality of all products requiring specific heating profiles. The new Generator is excellent for all the traditional heat treating applications, including brazing, forging, and annealing, as well as for all those continuous heating cycle applications, where an accurate control of the process parameters and a stable and constant output supply power of the Generator is required. Like all CEIA Generators, the new PW3-100SA/80 complies with the Electrical Safety and Electromagnetic Compatibility regulations. CEIA is glad to introduce the new line of SH15/SLE-550 Optical Pyrometers that distinguishes itself by being extremely compact and durable. They also offer wide temperature coverage, high-speed reading, complete noise immunity and the possibility of regulating the reading spot. The SLE series covers a reading range from 80˚ to 2,000˚C and comes equipped with a low intensity LED aiming light for proper positioning. The absolute innovation of SLE Pyrometers is the adjustable reading spot and focal distance thanks to the use of additional lenses that satisfy all the needs of customers for any application, including heat treating, brazing, melting, annealing and all those processes where accurate temperature control is required. Each Pyrometer is calibrated with instruments that are related to international samples and is accompanied with its calibration certificate. All SLE models are compatible with the CEIA V3 Controllers. CEIA is pleased to announce that the EMIS Series of Cargo Screening Systems have been placed on the Transportation Security Administration’s (TSA) Air Cargo Qualified Technologies List (QTL). The EMIS series (EMIS 6047, EMIS 8075, EMIS 110160 and EMIS 130160) is designed for automatic detection of detonators, initiator devices and metal weapons inside non-metallic cargo such as paper, newspaper, perishable goods such as produce, fish and meat (fresh or frozen) and organic material in general. The advanced electromagnetic technology minimizes interaction with the goods themselves and does not depend on visual interpretation of an image by an operator. In today’s air cargo screening environments, speed and accuracy are key factors. The EMIS series offers a simple and highly effective way to screen packages or entire pallets with a fast analysis of up to 3,000 packs per hour for on-line installations. The EMIS 110160 and EMIS 130160 were the first available automatic electromagnetic scanners for the inspection of entire pallets of non-metallic cargo. Available to certified cargo facilities, CEIA offers comprehensive operational and technical support, along with customer training and validation support. 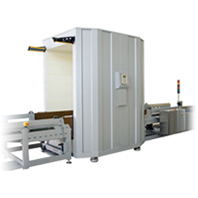 CEIA is a world leading manufacturer of security screening equipment, specializing in the design, engineering and production of a complete range of devices, including: Walk-Through, Hand-Held and Ground Search Metal Detectors, Bottled Liquid Scanners, Non-Metallic Cargo Inspection and Loss Prevention Systems. With over 45 years of industry experience, and a reputation for very high performance, ease of operation and outstanding reliability, CEIA is the supplier of choice for security-conscious customers worldwide. CEIA, a premier provider of security screening equipment, announced the availability of its next generation in the successful PMD2 family of high performance walk-through metal detectors, the PMD2 Plus. The PMD2 Plus retains the outstanding reliability of the PMD2, while utilizing the innovative CEIA research & development capabilities, to offer full compliance with the widest range of the most demanding security standards for weapon detection. The PMD2 Plus offers superior detection capabilities, including the largest range of threat objects from guns to ½ cutter blade composed of magnetic, non-magnetic and mixed alloys. The cutting-edge discrimination technology utilized throughout the detector ignores even more personal effects creating higher throughput. As security threats continue to evolve and grow, so does the need for state of the art security solutions. The PMD2 Plus was designed to combine enterprise level professional performance with initial and long-term value for our customers. Available in the elegant Elliptic® column or the traditional panel style, the PMD2 Plus solution is designed for use in the most demanding security applications such as government buildings, schools, corporations and public events. With the same performance as compared to the panel version, the Elliptic style provides customers with a more sophisticated design alternative for their walk-through security solution. The PMD2 Plus features the innovative One-Touch Self-Installation (OTS) for a faster and more streamlined installation process. OTS guides the installation professional through automated processes and provides step-by-step assistance to ensure a more consistent and complete solution setup without compromise. An optional integrated web-server and logger to monitor, control and report on the complete CEIA metal detection network. The Pharmaceutical division includes several state-of-the-art Quality Control Metal Detectors that offer full compliance with FDA requirements Part 210 and Part 211. 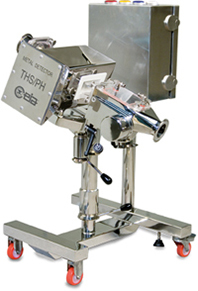 The THS/PH21N provides superior metal detection in the manufacturing process of this strictly regulated industry. The highly reliable proprietary digital technology delivers a consistent detection far metal contaminants in tablets, capsules and powders. All models feature a mirror finish on the 316L Stainless Steel that offers the best level of sanitation achievement. CElA THS/PH21N Metal Detection Systems feature extremely high detection sensitivity towards contaminating metals, whether ferrous, non-ferrous or stainless steel. Once a contamination is detected, the system rejects the identified material. The system's fail safe operation monitors the opening and closing of the ejection flap through a redundant confirmation sensor. CElA THS/PH21N introduces a continuous embedded Self-Calibration function for maximum repeatability and performance consistency over time. Proprietary signals are sent to the metal detector transmission and reception chain that provides constant monitoring of the detection characteristics. Constant regulation of algorithms supplies compensation for any variations caused by environmental factors. The result is system with stability, consistency in performance and effect product assurance. CElA THS/PH21N Metal Detection Systems satisfy the standards of Security, Integrity and Traceability of production data as required by Part 11 of Title 21 of the CFR - Electronic Records - Electronic Signatures. The CEIA EMA-3 Bottle and Liquid Analyzer, certified EU Standard 2 for Type A and Type B.
CEIA is proud to announce that the EMA-3 liquids analyzer has successfully passed the tests carried out according to the ECAC Common Evaluation Process and conforms to the requirements of Standard 2 for Type A and Type B equipment used to inspect Liquids, Aerosols and Gels (LAGs). Plastic, glass, ceramic and metal containers can all be analyzed. Some information about CEIACEIA is a market leader in the manufacture of Metal Detectors and related electromagnetic security control devices, with more than 40 years of experience. The walk-through Metal Detectors for airport security comply with the most stringent requirements specified by the Competent Authorities and provide automatic identification of metal threats over the whole body of the passenger, including the body cavities, as well as the maximum possible transit flow-rate thanks to their excellent discrimination of metal personal effects. CEIA USA is pleased to announce the addition of Pharmaceutical Metal Detection to their extensive catalog of capabilities. For over 45 years, CEIA has established itself as a world leader in metal detection and has focused on providing only the highest quality products to their clients. Previously only available through distributors, CEIA Pharmaceutical Metal Detectors have been installed at countless companies throughout the US and have maintained a successful reputation. By adding this division to our US Headquarters, CEIA can now provide USA direct manufacturer sales support and technical assistance along with a fully stocked warehouse of products and spare parts. 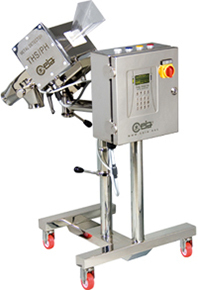 The CEIA THS/PH21 Metal Detection Systems offer detection, construction quality and reliability characteristics that make them the most suitable and effective solution to automatic elimination of metal contaminants whether ferrous, non-ferrous or stainless steel and even in very small quantities. For more information about CEIA Pharmaceutical Metal Detectors please contact Scott Larsen, North American Pharmaceutical Sales Manager, at 888-532-2342 and visit www.ceia-usa.com. For over 45 years, CEIA has provided high quality threat detection solutions for security and ground search applications such as walk-through and hand-held metal detectors, loss prevention systems, cargo screening devices, bottled liquid scanners, shoe analyzers and ground search metal detectors for military and humanitarian use. CEIA metal detectors are deployed at airports, distribution centers, federal buildings, military bases and sports facilities throughout the world. 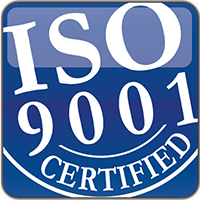 ISO 9001 Certified – GSA Contract Holder. CEIA’s new line of SL optical pyrometers are characterized by their extreme compactness and solidity, wide range of temperatures, quick measurement time, immunity to interference in induction heating applications and reduced dimensions of the reading spot. The new SL sensors are compatible with all v.3 controllers, and can be used in applications such as hardening, soldering, melting, tempering, brazing, expansion fitting and all other processes in which accurate control of the temperature is required. Every pyrometer is equipped with an internal digital memory to store all the calibration parameters, and fitted with a special sensor to measure and compensate for the ambient temperature. The range comprises 3 basic models: the SH15/SL, with a temperature reading range of 80°C to 800°C; the SH40/SL, from 200°C to 1400°C; and the SH60/SL, from 600°C to 2000°C. Each model can be equipped with an adjustable focal length for temperature reading. CEIA SpA, market leader in induction heating systems, continues its tradition of innovation with new products that satisfy the most demanding requirements of their customers. The new range of v.3 Control units provides faster, more intuitive programming of work cycles, allowing operators to personalize the functions menu in order to adapt it to their individual needs. The Procurement Agency of the German Ministry of the Interior - Beschaffungsamt des BMI - awards CEIA the contract for the supply of 84 “Type A + B” Liquid Analyzers for use in German airports. 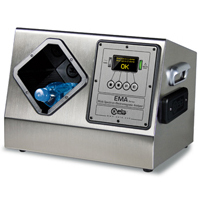 The EMA analyzer is a device designed to inspect bottles and their contents in order to reveal the presence of any combustible, inflammable and/or explosive liquids. The detection procedure is extremely simple, thanks to the automatic recognition of the bottle in the inspection cavity. In just a few seconds, the analyzer provides a positive response (OK) or an alarm message without the need for any interpretation on the part of the operator. The device analyzes the entire volume of the bottle. If the result of the analysis matches the characteristics of harmless liquids (e.g. water, wine, spirits or soft drinks), the device gives an “OK” message and a green light signal. If the result does not conform to ‘harmless’ characteristics, the EMA analyzer gives a visual and acoustic alarm signal. CEIA is a market leader in the manufacture of Metal Detectors and other security control devices, with more than 40 years of experience. The walk-through Metal Detectors for airport security comply with the most stringent requirements specified by the competent authorities and provide automatic identification of metal threats over the whole body of the passenger, including the body cavities, together with the maximum possible transit flow-rate thanks to their incomparable discrimination of metal personal effects. The youngest affiliated company of CEIA is now fully operational in the German market as a new strategic point of contact in the central Europe. 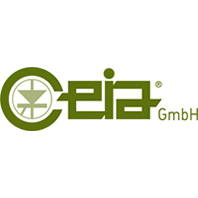 Born on April 2010 in Eltville, near Frankfurt, CEIA GmbH is supporting German authorities and customers and will participate to the main security exhibitions and conferences that take place in Germany. The first one is “European Police Congress” in Berlin from February 15th to 16th. CEIA GmbH is able to give fast technical support to local customers, in their own language achieving a rising customer satisfaction. CEIA GmbH can offer all the Security Equipment produced by CEIA. For Cargo Screening CEIA also offer a solution that will drastically improve the screening of non-metallic commercial cargo such as produce, seafood, meats, printed materials, flowers and apparel. The EMIS (Electro-Magnetic Inspection Scanner) quickly and accurately screens packages or pallets using a harmless, low intensity electromagnetic field to ensure there are no explosive devices hidden within. This method of inspection does not require visual interpretation of an image, unlike typical x-ray scanners. Threats can be identified throughout the entire stack of cargo minimizing operator interaction with the goods.